Mana Pools National Park often felt like more of a myth than reality to us. We heard the park referenced many times and knew that it was a fact that those fortunate enough to make it to the park were rewarded with an amazing safari. The UNESCO World Heritage Site is famed for its protected wilderness. Mana Pools is remote and delivers a true sense of being in the wild. It’s widely considered one of Zimbabwe’s finest parks and there is little mystery as to why. The African Park is renowned for its position on the Zambezi River, massive elephants, and healthy lion population. It occupies around 2,200 sq km of land and is surrounded by safari concessions that act as a successful buffer between man and the wilderness. Mana Pools is Africa at it’s finest. Our journey began 80km up the Zambezi River from Mana Pools. The mode of transportation to this remote park was a fiberglass Canadian canoe. Canoeing down the mighty Zambezi is no small feat. The famous river is filled with crocodiles and hippos, by some estimates, there is one crocodile for every 10 sq meters! Paddling down the river was both relaxing, terrifying, and invigorating. One minute we’d be paddling down a beautiful channel and the next we were face to face with a grumpy hippo. After surviving the daunting canoe safari we arrived in Mana Pools. Here we stayed at our first Wilderness Safaris properties Little Ruckomechi & Ruckomechi. Upon arrival, we had Little Ruckomechi all to ourselves. It was intimate and after three nights of camping and showering in the middle of the river we were happy to spend some time in the luxurious camp by ourselves. While staying in Mana Pools we were overwhelmed by the sense of wilderness. It seems to be a park lost in time. On game drives, we would drive over varied terrain only to catch a glimpse of eland moving through the bush or a waterbuck leaping over a fallen tree. And it was only five minutes after checking into camp that we had a herd of elephants right outside out tent. The elephants of Mana Pools are abundant and they’re impossible to miss. They are ever present in the camps of Mana Pools. We often found an elephant comfortably walking over decks and munching on the trees around our tent. Some of our closest experiences with these mesmerizing giants came about in this park. Their presence in camp was palpable and I spent much of my time with those that ambled into camp. It is apparent that they are aware of the camp and feel comfortable at all times with the guests and staff. 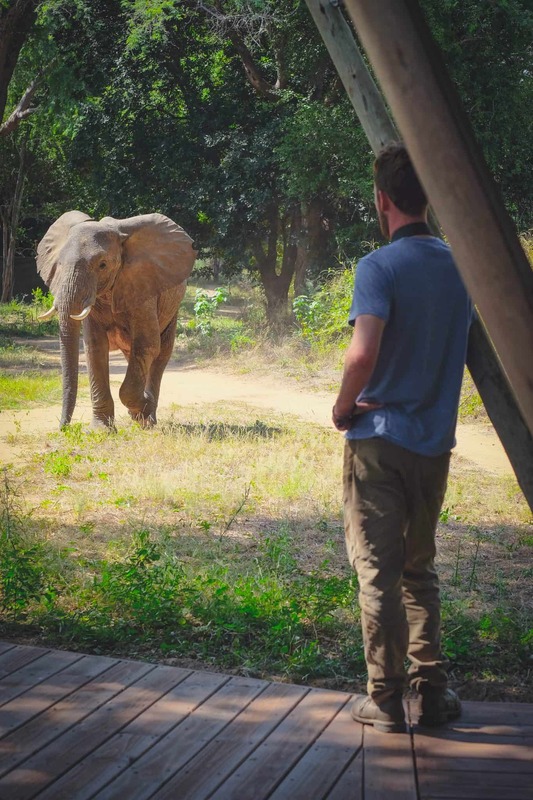 This made for a humbling safari in a stunning part of the world. Mana Pools National Park is home to many of the standard large wildlife throughout Africa. Four of the “Big Five,” animals call the park home, which excludes the Rhino. 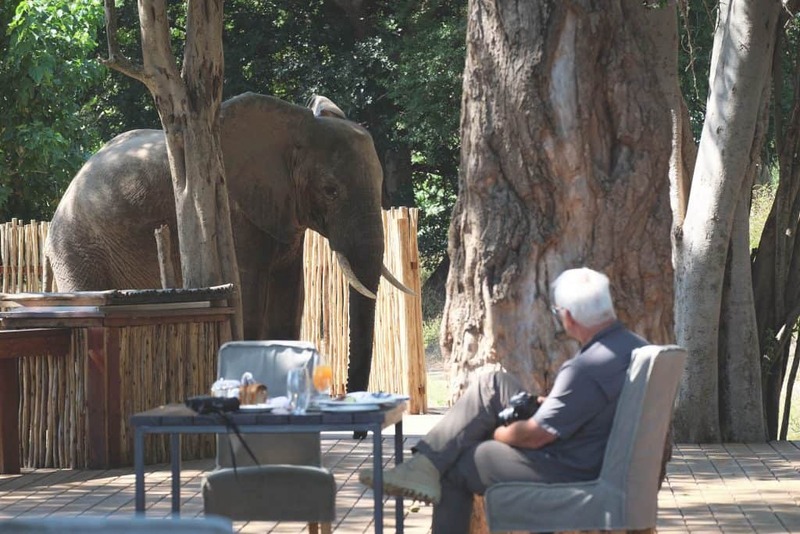 As mentioned, elephants are abundant and often frequent the safari lodges. 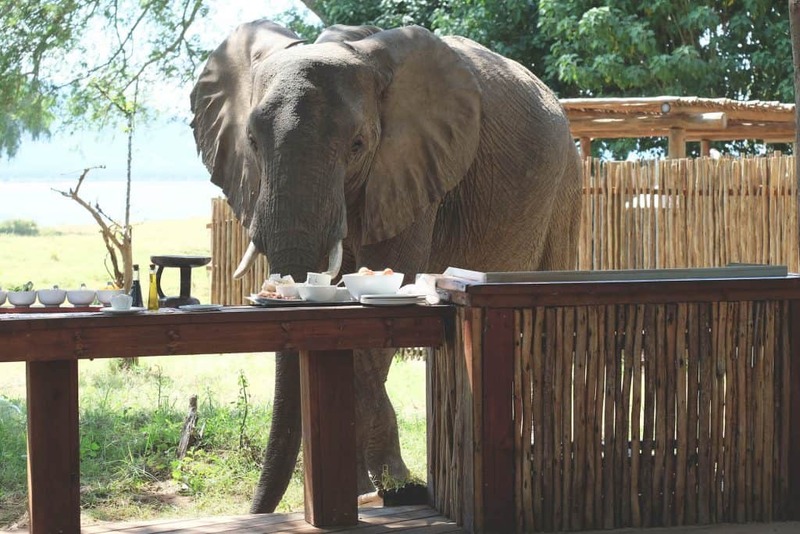 Our lodge, Ruckomechi, had some very curious elephants who interrupted meals on the back deck to take a sample from the lunch buffet. Other park favorites include lions, leopards, and a few packs of African wild dogs. There are a few notable animals that are absent from the park due to the terrain. Giraffe and Wildebeest are absent from the park and there is a debate as to why these two animals have never made it into the Zambezi Valley, but it has been speculated that they cannot make it over the Zambezi Escarpment. The birdlife in Mana Pools will make any birder jump with joy. Highlights included the African skimmer, Pel’s fishing owl, white-backed night heron, collared palm thrush and Carmine bee-eater. 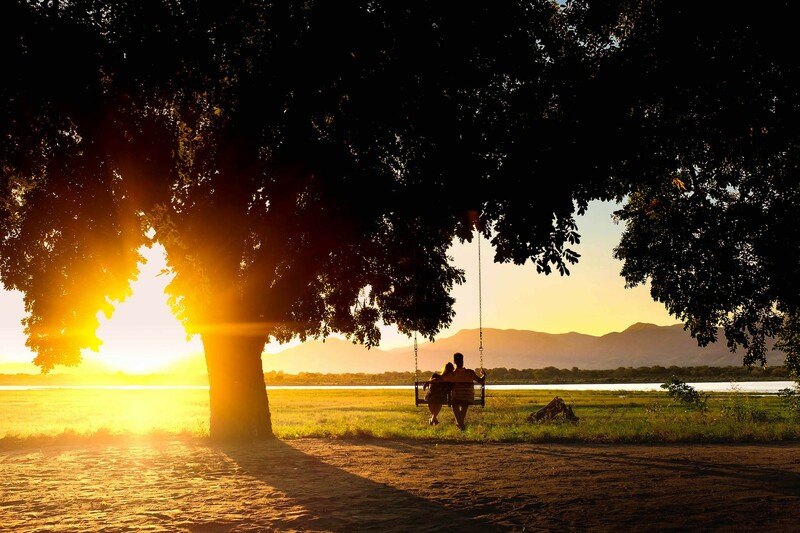 The 2,500 sq km park sits on the banks of the Zambezi offering view access to islands, sandbanks, and pools. Although, the park is limited in size it is encompassed by safari areas and concessions that amount to around 10,500 sq km of unfenced wilderness. The Zambezi River is the focal point of the park and wildlife can be found in abundance along its banks. Hippos and crocodiles can be seen just about everywhere and a wide variety of aquatic birds are regulars. The park derives its name from four permanent pools. Mana means “four” in Shona, the local dialect and major language of Zimbabwe. The pools act as permanent sources of water in the park as they are fed by the Zambezi water table. The largest, “Long Pool,” is around six kilometers long and stays filled year round making it a wildlife hotspot in the dry season. The park has varied terrain of open plains and forests of mahogany, wild figs, ebonies, and baobabs. The large woodland areas make for a magical feel as the thick canopy just out of reach of elephants filters the light over open plains. The mighty Zambezi is the fourth largest river in Africa and cuts through six countries on its way to the Indian Ocean. There are many national parks and safari concessions that stake their claim along this famous river. 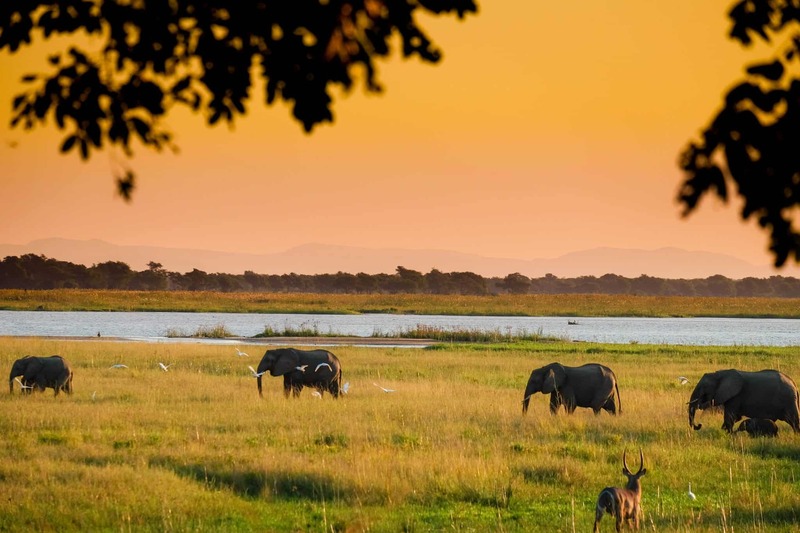 However, the Zambezi Valley is unique in its large wilderness area as the Zambezi divides both the Lower Zambezi and Mana Pools national parks. This large wilderness creates a biodiversity hotspot. That’s why canoe safaris are a popular day activity for lodges along the Zambezi River. For the more adventurous there is the option to take a multi-day canoe trip down the river. We were fortunate enough to experience this one of a kind trip with the experts at Natureways Safaris. Paddling down the Zambezi River is a unique safari experience you can’t find throughout Africa. We’re not even sure of where else in the world you can do this. Canoeing down the Zambezi is tranquil and touches on the roots of being an explorer back in the day. What makes these canoe safaris so unique are that they are entirely self-sufficient. There is no support team- just the guest, guides, dangerous wildlife, and an ancient river. 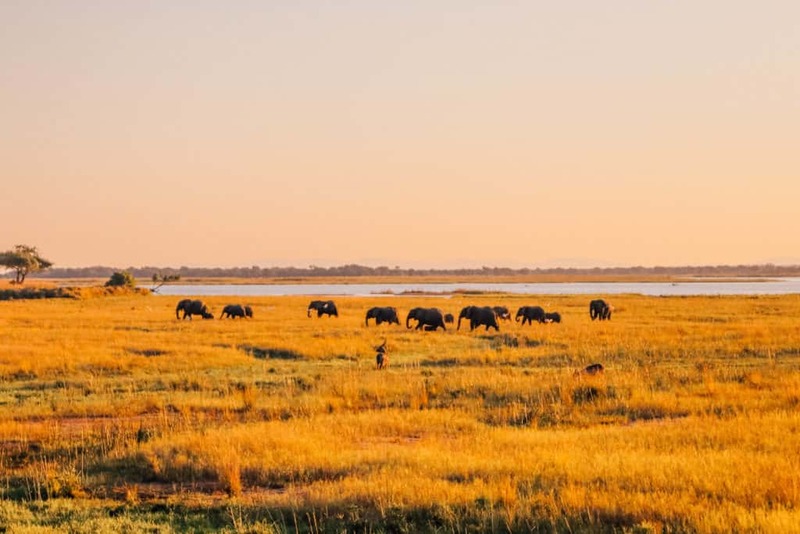 The guides navigate a maze of sandbanks, hippos, and islands crossing back and forth between Zambia and Zimbabwe. All while the guests view wildlife from the safety of their canoe. A common sight along the banks of the river are elephants as they cross between parks and enjoy the soft grass of the islands. 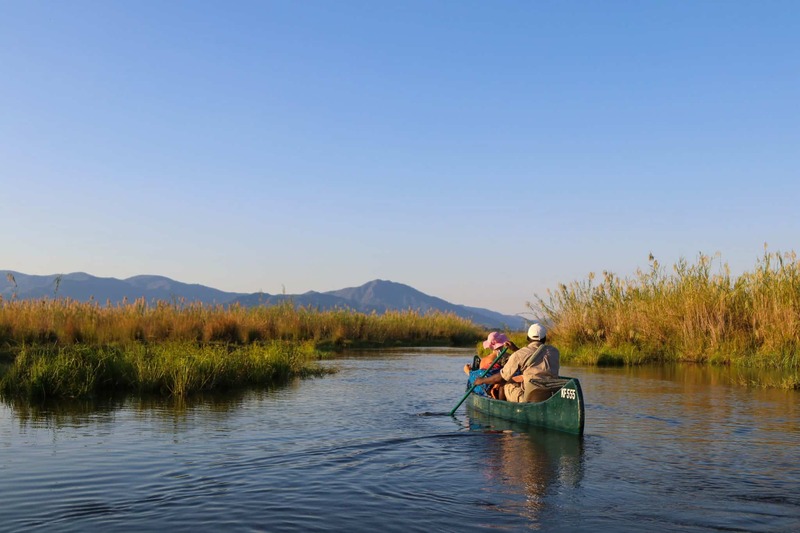 The Tamarind Canoe Safari is the most popular canoe safari route to take on the Zambezi. 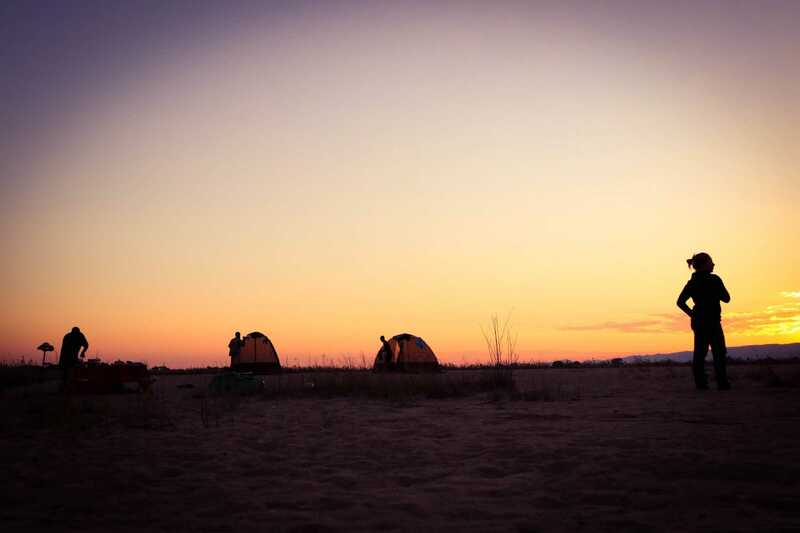 It consists of four days of canoeing with three nights of camping. 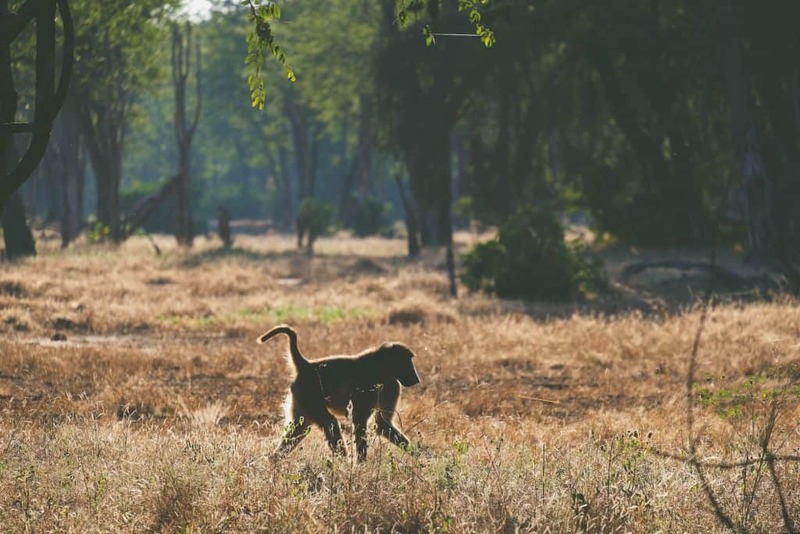 The safari begins in the border town of Chirundu and ends in Mana Pools National Park. It’s an unconventional way to arrive at a national park in Africa, and one surely to be remembered. The safari covers roughly 75 km and is never taxing at a leisurely pace. Each day on the canoe safari starts with coffee and tea while packing down camp. You paddle for a few hours before making a stop for breakfast or you can opt to knock out the majority of paddling and have a brunch. After a nice siesta, you finish up the day in warm afternoon light before setting up camp on one of the many islands. Camping on the islands of the Zambezi leaves you enveloped in the wild of the mystical river. 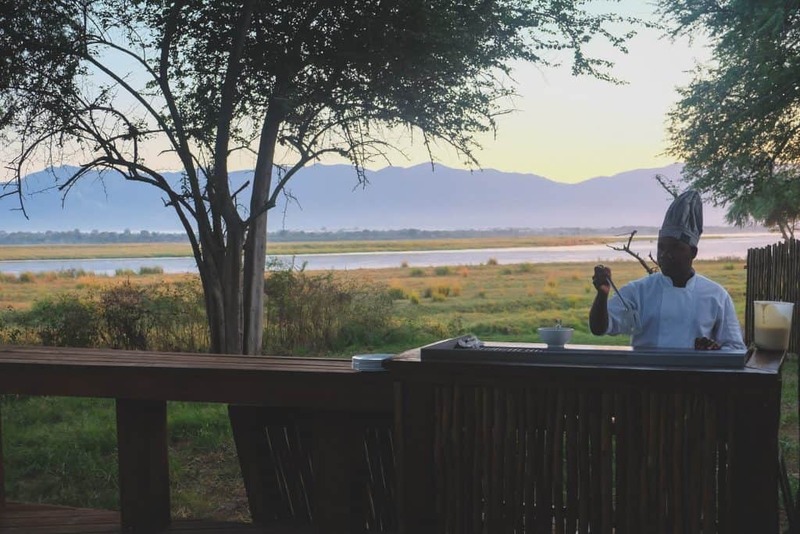 Where to stay in Mana Pools? Ruckomechi is located along the western boundary of the park in a private concession. The one camp is now two after a recent facelift moved the original camp, leaving a smaller more intimate “Little Ruckomechi” in its stead. The two camps are only a few minutes drive apart from one another and sit on the banks of the Zambezi River. 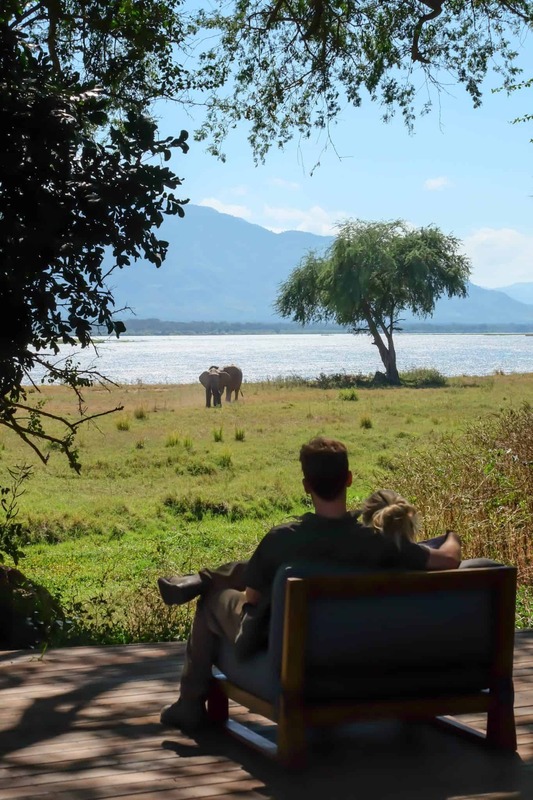 In the distance, guests can see the Lower Zambezi National Park and the towering Zambezi escarpment. Despite having the same name each camp is unique in its experience. 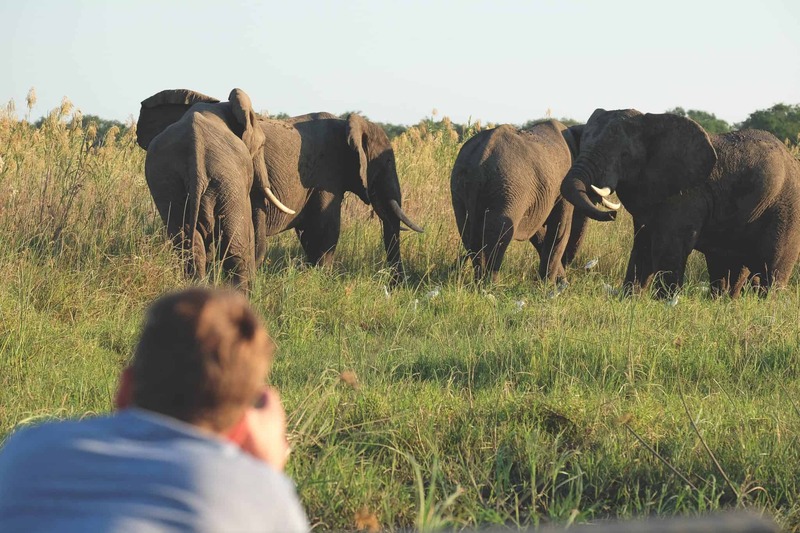 Both camps offer a wide array of safari activities. Game drives are conducted in custom designed safari vehicles equipped with cupholders and blankets for cool mornings. Another option for guests is to take to the waters on a riverboat cruise. It’s a favorite activity of ours in the evening because it can be enjoyed with a gin and tonic in hand. Of course, there is always the option to catch Tiger Fish while fishing on the river. Two unique activities at Ruckomechi are canoeing and walking. After coming off four days in a canoe we gave that activity a skip, but for those looking to get their feet wet, so to speak, we highly recommend the activity. We often preach the beauty and tranquility of bush walks. It is a unique experience to a handful of African parks that allow for total immersion into the wilderness for safari guests. 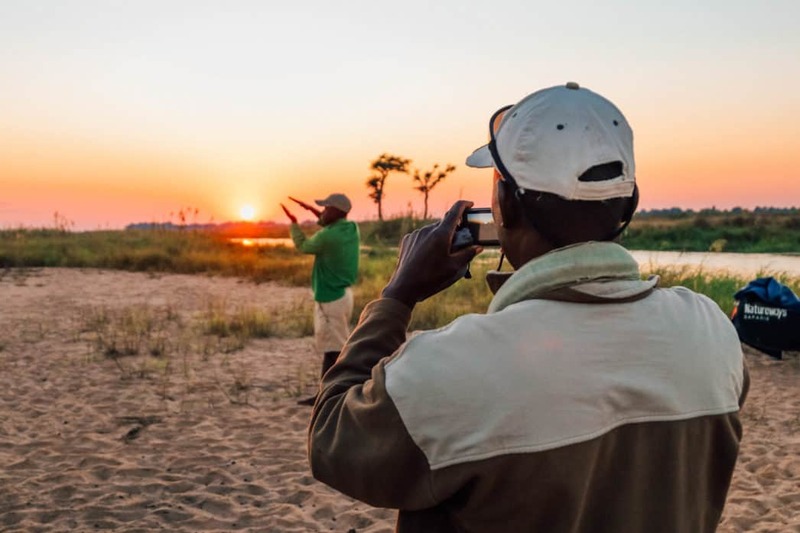 There likely is no better place to go on a walk as the guides of Zimbabwe are regarded as some of the best in Africa and are required to go through rigorous tests and training. It’s worth noting that Mana Pools National Park is the only park in Africa where you can walk unaccompanied, should that interest you. Little Ruckomechi is the smaller more intimate camp. Natasha and I had a lovely night together in the camp all by ourselves. The camp consists of just four ensuite tented rooms situated in between a grove of Ana trees. The rooms all provide spectacular views of the river from low wood decks. 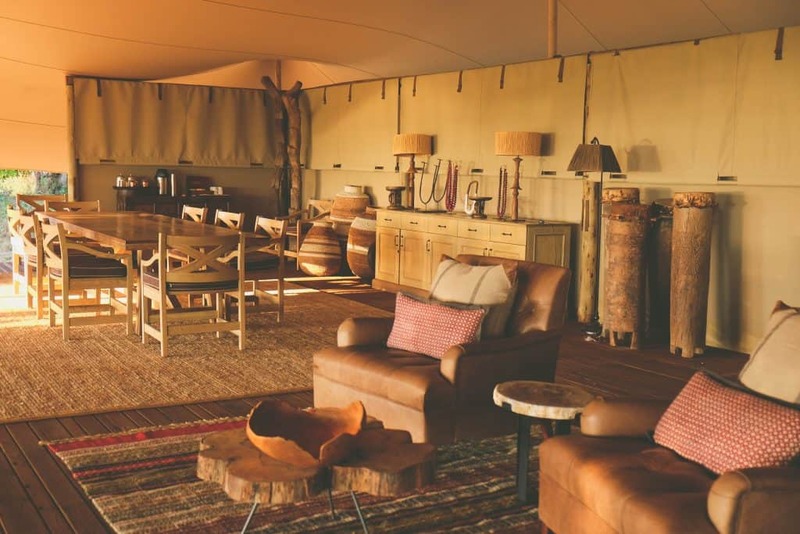 Inside the tents are stylish decorations that blend the old and new of safari effortlessly. Rooms feature an open mesh wall facing the Zambezi providing views over the Zambezi from an open-air shower, bed, and seating in the room. 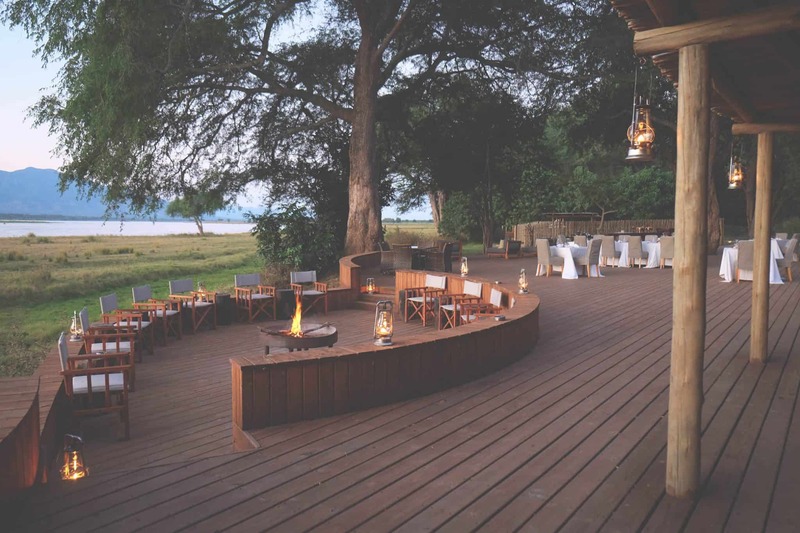 Ruckomechi consists of 10 large spacious safari tents. Each room is stylishly decorated and has a large bedroom area. 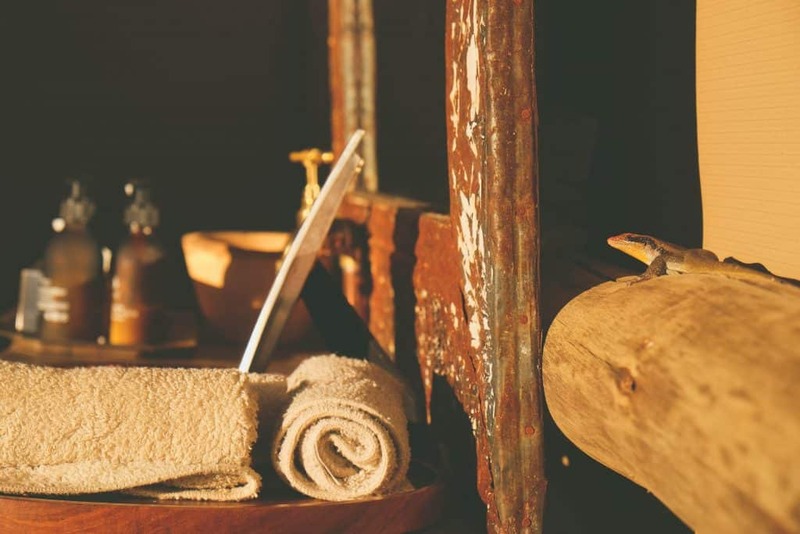 The en-suite bathroom has an amazing shower that opens up to the Zambezi via a tent flap allowing you to choose indoors or outdoors, we choose outdoors. 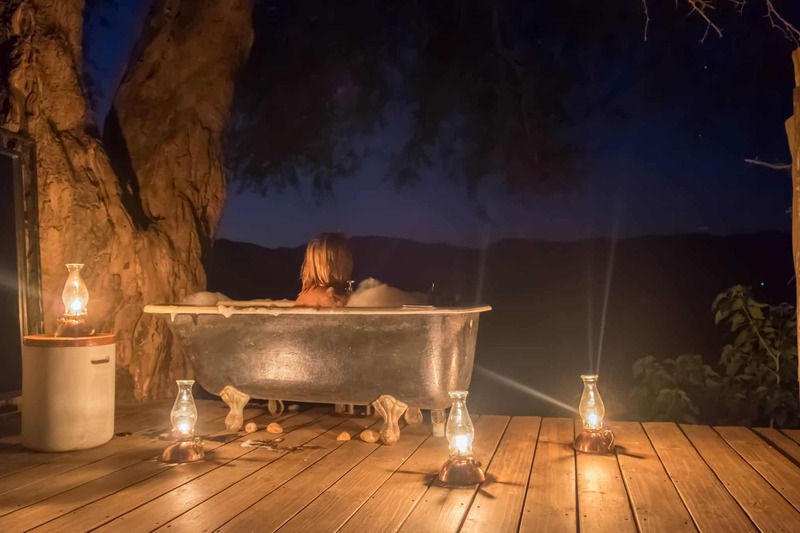 A unique experience at Ruckomechi is a bath on the banks of the Zambezi River, where guests can soak in a bubble bath. We, of course, had to take full advantage of this enjoyed a romantic bubble bath together while listening to the sounds of the wild. The common area capitalizes on the camp’s superb location. The large deck and sunken fire pit is where the majority of our time was spent at camp. Almost all meals and afternoon tea is served on this deck, unless requested otherwise. This meant every meal was joined by fantastic views out to the Zambezi River. A small walkway leads to a plunge pool and sun lounges. We visited in May while the weather was too cold to enjoy, but by August the pool is likely a welcome relieve during midday. We had high expectations for our first Wilderness Safaris camp and we were not let down. The camp seemed to blend in seamlessly with the surrounding environment. It was also evident that the lodge does take to heart conservation despite being a publicly traded company. Clear steps to reduce plastic, use recycled products, leave a minimal footprint, and harness renewable power sources made the camp a hit for us. Of course, having a stunning room with gorgeous views made the experience all the better. Spotting wildlife in Mana Pools, like almost all parks in Africa, is best in the dry season. The dry season in Zimbabwe and Mana Pools is at its peak from June – October. The dry season makes it easy to spot animals in the bush while they concentrate around sources of water. The main source of water for the wildlife is the Zambezi River where the lodges and campsites are located. This creates for great game viewing while in camp too. December to March is the green season. Rains begin to fall in November and by December the road network becomes difficult to traverse. Wildlife disperses in the park with the bountiful sources of water and foliage increases providing them greater camouflage. There is a brief shoulder season in May before the peak season arrives in June. However, given the current state of international affairs tourism is down in Zimbabwe and the park is unlikely ever to be too busy like in the Kruger or the Serengeti. There are also a limited number of camps in the park and that limits the number of visitors in the park at one time. What’s Your Typical Safari Day? 07h00 – Depart on morning activity. We recommend doing walking safaris in the morning as after about 9:00 temperatures will get too hot to walk. Check out our Mana Pools Video! 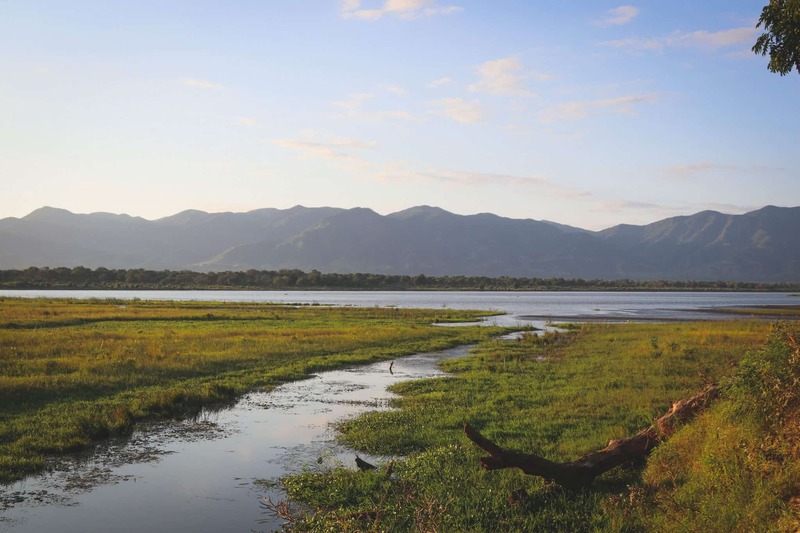 Mana Pools National Park is open all year round; however, the park is largely inaccessible from December to April. National parks in Zimbabwe are similar to many parks in Southern Africa and very affordable. There arise one communal campsite and several exclusive campsites that visitors can book through ZimParks. The campsites we stayed at while on the canoe safari are designated by the parks department and unmanaged. They are not open to private individuals. If self-driving in Zimbabwe expect to pay a road tax fee ($30), third party insurance ($30), and a road access fee ($10). No bribery was experienced for us in Zimbabwe. Fuel should be available at any border town and major city. Having enough USD before you enter Zimbabwe is sure to make life easier. There is currently a cash shortage in Zimbabwe so make sure you arrive with enough to get you through your holiday. Cash would also be needed for any guide tips or souvenirs you would like to purchase. The three main languages in Zim are English, Shona, and Ndebele. However, you will be able to get by fine with English in Zimbabwe.